Absolutely fantastic. 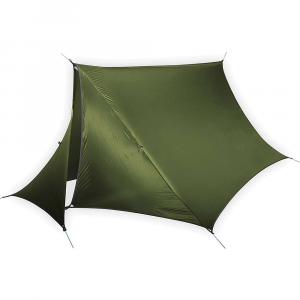 It can be pitched in a variety of configurations and when pitched right is a very weather proof shelter. At first it might take a little longer to set up, but once you get the hang of it it goes up rather quickly. 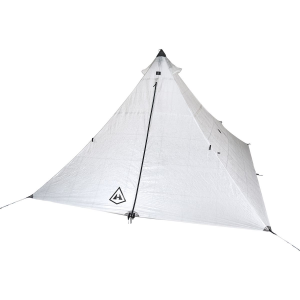 It pitches with or without trekking poles. 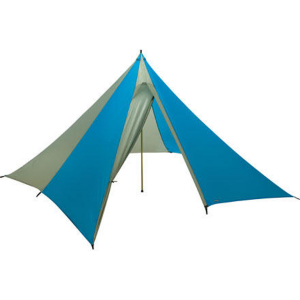 Without them it's a glorious open shelter providing enough room for 3 in a pinch, and possibly more. I like it! 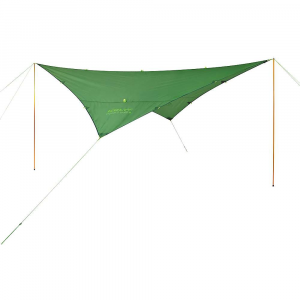 The Trekker Tarp has been discontinued. 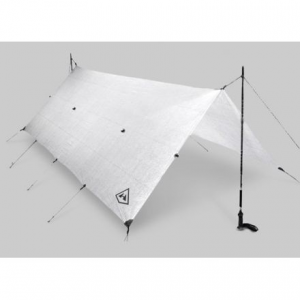 The MSR Trekker Tarp is not available from the stores we monitor. It was last seen sometime before 2006 at Backcountry.com.